The beginning of the fall art season in Los Angeles necessitates more gallery hours than can ever be repaid, (apologies to Mike Kelley) but none are more worthwhile than the time spent with The Decay of Fiction at Philip Martin Gallery. Pat O’Neill, the esteemed Southern California experimental filmmaker, has created an installation comprised of a 5-channel digital edit from his 35mm film of the same name. Included in the show are a few sketches and sculptures, and strips of print film, framed to cast tiny shadows, but these are secondary to the powerful, immersive experience of his film installation. Since the late sixties, O’Neill has been making what used to be commonly known as avant-garde, or experimental films. What distinguished his films from other filmmakers’ work was his use of optical printing coupled with his installations. 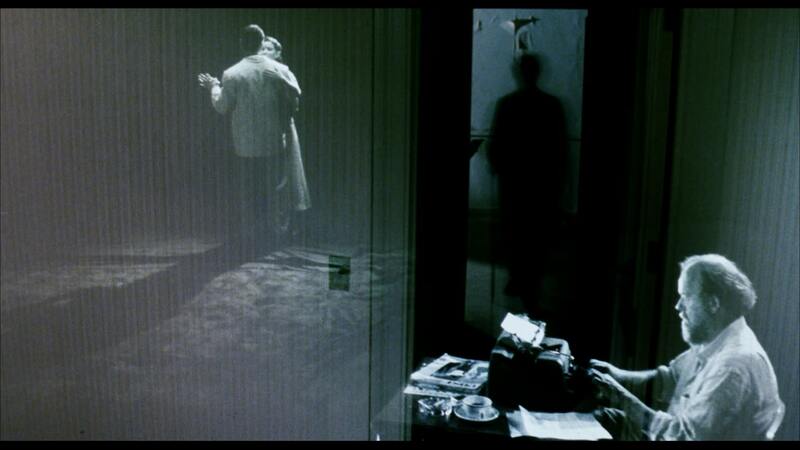 In recognition of his contributions, the Academy of Motion Picture Film Arts and Sciences Archive has preserved the complete collection of his films, including the original 2002 version of The Decay of Fiction. O’Neill, born in 1939 and raised in Inglewood, California, went to UCLA where he studied design and photography in the late sixties. He also took a few film courses. At that time on the West Coast, and specifically in Los Angeles, there was only a very small community of filmmakers working outside of the mainstream movie industry. He educated himself at screenings held at the Coronet Theater and began to make films although there was little support for experimental cinema outside of New York. He taught at CalArts for a while then set up his own business in the mid-seventies, creating special effects with an optical printer. His commercial work held little interest to him in relationship to his art, but he found the photo mattes intriguing and the process of printing over images well suited to his aesthetic. The raison d’être of The Decay of Fiction was O’Neill’s access to the vacated Ambassador Hotel in Los Angeles, just prior to its demolition. Using the empty pool, the grounds and the once stately reception rooms and interiors of the landmark building as his backdrops, O’Neill proceeded to layer images into a collage, of sorts. The hotel, best known as the site of the Robert Kennedy assassination, had a more glamorous history; it was home to the Cocoanut Grove nightclub and was the playground for many Hollywood stars and socialites. By the time he shot his footage in 1997, the abandoned hotel represented the dichotomy between its glorious past versus its present dilapidation. The location, too, situated in an immigrant neighborhood between wealthy neighborhoods to the West and the big banks downtown also emphasized its transitional and contradictory status. 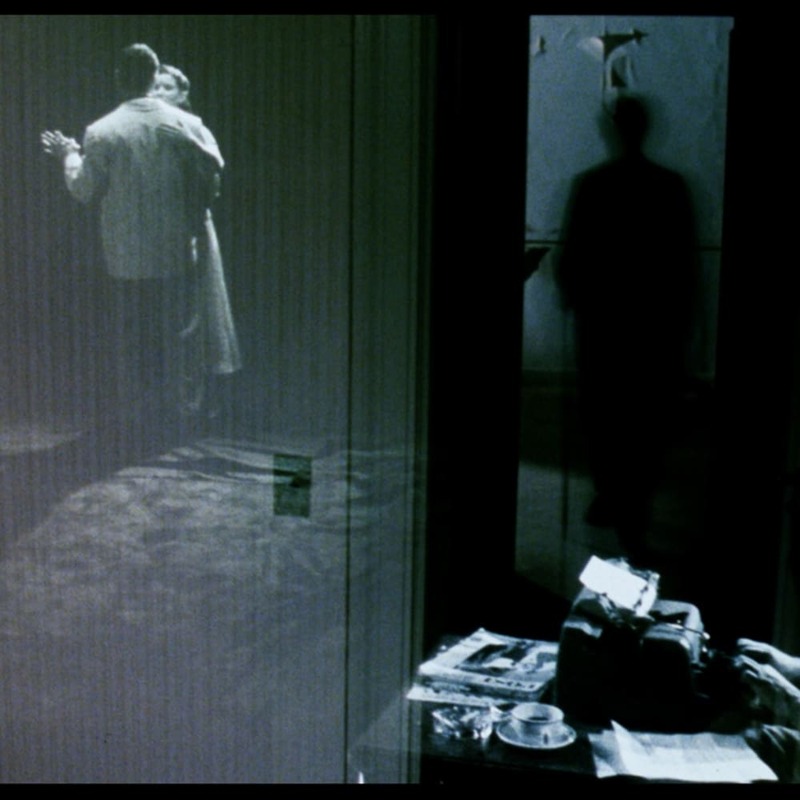 After the initial documentation of the hotel, O’Neill filmed his actors in a separate location, with the intention to inhabit the spaces through reshooting and reprinting. The result is a stunning mélange of silent moving images that evoke the Golden Age of Hollywood and creates an unworldly, ghostly drama, a re-imagined Topper. In this installation, the viewer is immersed in a nocturnal landscape anchored by the Ambassador. The filmmaker plays with scale, speed, gravity, and multiple images that conjure fantastical Hieronymus Bosch vignettes, William Blake’s drawings, and even Eadweard Muybridge’s photographic studies of motion. His actors may suggest found footage of campy B movies, but as O’Neill manipulates them, there is no single common narrative, but the spectacle of figures enacting mysterious dream-like scenarios. Each projection is beautifully filmed and compelling to watch. Together they make up a wondrous environment that celebrates the history of film and captures the magic of movie making.